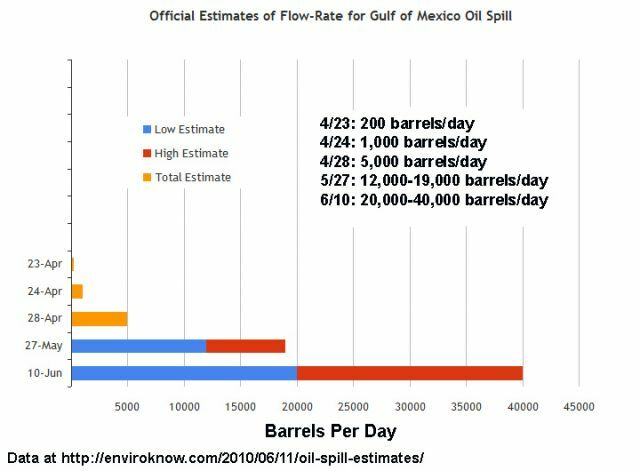 The estimate from the government flow rate team now puts the size of the Gulf disaster somewhere between 20,000 and 40,000 barrels of oil per day (or possibly as high as 50,000). The ever-ballooning figure is twice the size of the government’s last estimate. But it’s at least 100 times the size of what we were told was coming out of the well in the first days after the explosion of the Deepwater Horizon.